My above ground pool had been running without any problems for 5+ years, but then sand appeared in the pool. I tried several things what are recommended to correct this problem, but it has continued. First, I replaced the spider gasket assembly on the multiport unit. I ran the system and continued to get sand in the pool. Then I emptied the sand filter, replaced all 8 laterals and the tube part they screw into that connects them with the multiport assembly, and added the recommended amount of new sand. Reconnected the filter, primed, back washed, rinse the lines and then started the filter cycle for 8 hrs. Sand reappeared in the pool, the amount seemed to increase with each filter cycle. I then flushed out the lines for skimmer and return, vac sand off the bottom of the pool, and still sand continued to show up in the pool. What else can I do? Before this problem appeared this year, the pool worked great for 5+ yrs. HELP! Hi Ken I know this is a late reply, did you find a fix to your problem. You have done what you needed to do with the filter, is it possible the sand is coming from a hole in the liner? Join in and write your own page! It's easy to do. How? 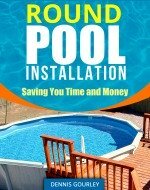 Simply click here to return to Above Ground Pool Filters.